Once again it is time for Stampin' Up! 's BIGGEST sale of the year. For every $50 you spend, you will receive a free Sale-A-Bration gift. 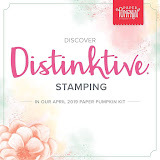 You can find a link to the brochure when you shop at my online store at sandee904.stampinup.net, or you can click the image to the right. Now I don't want to sound like there is any rush, but please hurry and book your party right away so I can make sure that everyone has the opportunity to get in on the BIGGEST sale of the year. Plus, if your party sales reach $300 or more, in addition to the $50 in hostess dollars, you will receive an additional $30 in hostess dollars. That is $80 in free product. I know some of you regularly spend an average of $75 an order. If you join my Stampin' Up! 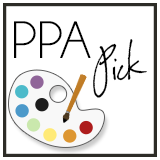 team for $99 during Sale-A-Bration (thru March 31, 2014), YOU will select $150 worth of product for your starter kit, and you can start earning your product, learning some great craft ideas, and meeting some great people that turn into great friends! Please contact me to learn more details.